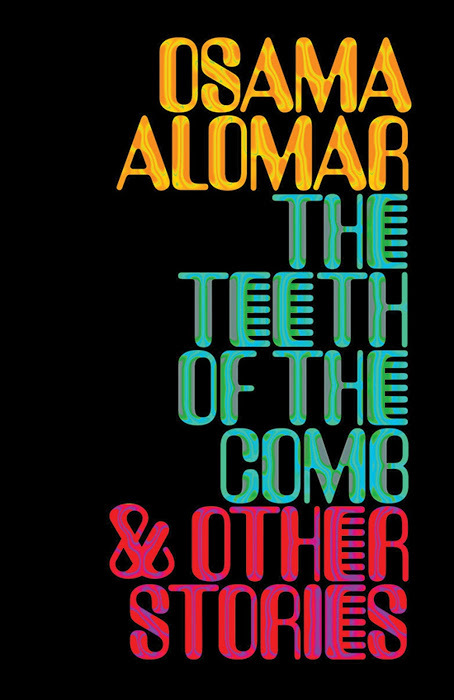 In English, Alomar has been published by Noon, Conjunctions.com, The Coffin Factory, The Outlet (the blog of Electric Literature), Ploughshares, Southern Review, Vice Online, Gigantic, Dissent, and The Literary Review. In Arabic, he has also published three collections of short stories: Ayuha al-insaan (O Man), Rabtat Lisaan (Tongue Tie), and Jami’ al-huquq ghayr mahfuza (All Rights Not Reserved); and one volume of poetry, qaala insaan al’ asir al hadith (Man Said the Modern World). He is a regular contributor to various newspapers and journals in Syria and the Arab world, among them Tishrin, an-Nur, Spot Light, al-Halil, Adab wa Naqd, and al-Ghad. Personified animals (snakes, wolves, sheep), natural things (a swamp, a lake, a rainbow, trees), mankind’s creations (trucks, swords, zeroes) are all characters in The Teeth of the Comb. They aspire, they plot, they hope, they destroy, they fail, they love. These wonderful small stories animate new realities and make us see our reality anew. Reading Alomar’s sly moral fables and sharp political allegories, the reader always sits up a little straighter, and a little wiser. A prominent practitioner of the Arabic “very short story” (al-qisa al-qasira jiddan), Osama Alomar’s poetic fictions embody the wisdom of Kahlil Gibran filtered through the violent gray absurdity of Assad’s police state. Fullblood Arabian is the first publication of Alomar’s strange, often humorously satirical allegories, where good and evil battle with indifference, avarice, and compassion using striking imagery and effervescent language. After a little while the comb’s owner felt a desire to comb his hair. But when he found the comb in this state he threw it in the garbage. The following are all entire stories from Fullblood Arabian. Before leaving for work I tied my tongue into a great tie. My colleagues congratulated me on my elegance. They praised me to our boss, who expressed admiration and ordered all employees to follow my example. Hearing this, the mother star signed and said nothing. Freedom was imprisoned inside the walls of time. And time itself exploded.